The word has come from the top: Google CEO Sundar Pichai says the company's annually sold-out Google I/O conference will take place on May 18-20 in Mountain View. Pichai tweeted out the news Tuesday, noting that the event will take place in the "neighborhood where it all started 10 ys ago: Shoreline Amphitheatre in Mountain View." Details about conference sessions, ticket sales, etc., have not been updated yet on the Google I/O website. 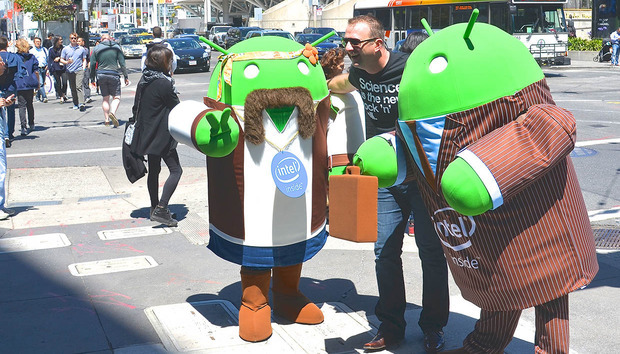 Last year the developer-focused confab packed 6,000-plus into San Francisco's Moscone Center and included announcements about Android M (i.e., Android 6.0), Android Pay, Google Photos and Google Play, among other things. Google bills I/O as an opportunity to hear inspiration speakers, do hands-on training and to check out Google's latest products. The choice of the outdoorsy Shoreline Amphitheatre is an interesting one, not only because it has total capacity for more than 22,000 people, but because it might lend itself to showing off some of Google's more high-flying innovations, from Project Wing delivery drones to Project Loon Internet balloons. Google has instituted a lottery system for tickets the past couple of years after a mad rush to buy tickets online created plenty of hard feelings when tickets were gobbled up in under an hour. Like Apple's annual Worldwide Developers Conference, Google I/O has become one of the hottest tickets in tech, with tickets last year priced at $900 for general admission and $300 for academics. Google has begun live-streaming the event, though, so not all is lost if you can't attend in person but want to stay up on the action.